The housing sector in India is growing at a quick pace and is also contributing immensely to the growth of the economy. While this has worked in favour of our country, the effects of climate change are now being felt across the world, especially in the top residential properties in Mumbai. There is no doubt in the fact that construction companies contribute to carbon emissions and it is high time to start taking this seriously. Ashray Group has started pacing towards eco-friendly housing and has joined the growing trend of green constructions. Water plays a very significant role in our lives as it is a precious natural resource. Over the past few years, water sources are depleting from all parts of the world. It is vital that ideal measures are put in place to help reduce the high rate of water loss. Ashray Group has come up with a solution for the same with rainwater harvesting. Rainwater Harvesting is a technique or strategy for collecting rainwater and storing it in the right way for future use. In most cases, the water is usually collected from rooftops and other hard surfaces. Rainwater harvesting is considered a very reliable way to conserve water. Solar power is the key to a clean energy future. Every day, the sun gives off far more energy than we need to power everything on earth. That’s why Ashray Group is investing heavily in solar plants and are now offering solar panels their buildings. LEED (Leadership in Energy and Environmental Design) is the most widely used green building rating system in the world. LEED certification is a globally recognized symbol of sustainability achievement. 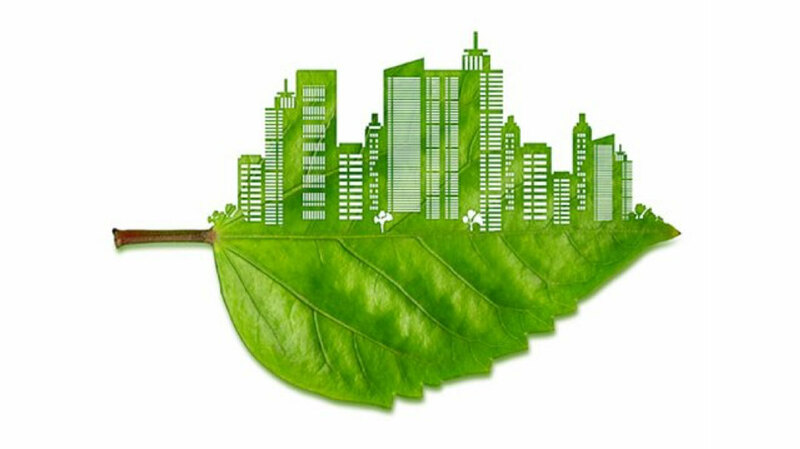 LEED is a certification program that assesses building design and construction in terms of energy efficiency, water usage, air quality, and choice of building materials as well as environmental factors such as access to public transportation and responsible land use. Ashray Group’s project Jaswanti Woods based in Mulund West is a LEED Certified Project. Space, topography, the land we build upon and all materials affect how our desires, lives, and prosperity grow. Therefore, everything we buy affects us, even a commercial plot. Vastu Shastra is the study of all these effects and offers remedial solutions for problems. These guidelines are based upon the ‘Theory of Five Elements’ and the ‘16 MahaVastu’ zones, and they shape the future of any house or building. The right balance of the Earth, Space, Air, Fire and Water Elements and the zonal strengths of the 16 Vastu zones is important as each Element and zone are related to a certain activity. Since Vastu is not just a religious myth but also scientific, having a house designed with Vastu Compliance ensures that energy is saved in the best way possible and all systems function to their optimal uses. These are some of the reasons why Jaswanti Woods by Ashray Group, one of the top residential properties in Mumbai, is a step ahead in the growing trend of green constructions. To know more about our other projects, visit Ashray Group.